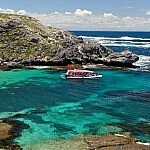 Prepare to discover a side of Rottnest Island that few get to see. 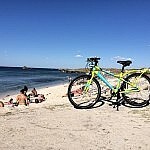 Explore Rottnest Island’s remote and wonderful coastline, secluded bays, beaches and encounters with rarely seen wildlife. 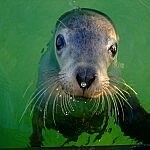 Join us on the Eco Express for a 90 minute journey to the island’s wild side. 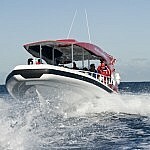 The Eco Express will complete a full circumnavigation (weather permitting) of Rottnest, offering passengers an unforgettable, entertaining and informative experience. 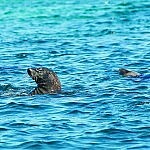 The waters off Rottnest Island are teeming with wildlife, including the majestic Humpback Whales during September to November and closer to home watch the delightful antics of The New Zealand Fur Seal Colony out at Cathedral Rocks. Your all day adventure package is complete with bike hire and lunch at Subway. The 18/19 Season will commence 15th September 2018. Places are limited, so to book please call our friendly team on +61 8 9246 1039. *Concession is valid for senior, student and backpacker card holders only. Please note this package requires confirmation from a third party operator. This tour is not suited for children under the age of 4 years. Passengers may get wet. Full length spray jackets are provided on board. If you are pregnant, or suffer from back or neck injuries, we recommend you let the Skipper know when boarding, who can make sure you are seated comfortably. Hire bikes are collected from Hillarys prior to departure.